SUMMERFIELD GATED COMMUNITY. End unit with lots of windows. Front foyer leads to living room & dining with vaulted ceilings. Rancher with walk-out basement. Nice plan with 2 bdrm & 2 baths on main. Large balcony. Great mountain view. Large master, walk-in closet and luxurious 5 piece ensuite. 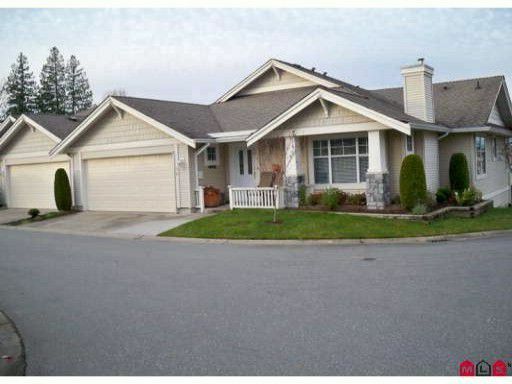 Home is complete with 2 gas fireplaces on the main, 3 zone in-floor heat and double garage. Drive-way accommodates guest parking. The basement offers great guest bdrm and full bath, vast rec. room. Sliding doors lead to private patio with fenced yard and perimeter garden. Amenities include pool, hot-tub & exercise room. 1 pet O.K.